The December 7 announcement that President Trump will nominate William Barr to be his next attorney general: It was just the latest reminder of the thawing relationship between the Trump administration and the Bush dynasty. Barr, of course, served as attorney general during the Bush 41 administration. In the week after former president George H.W. 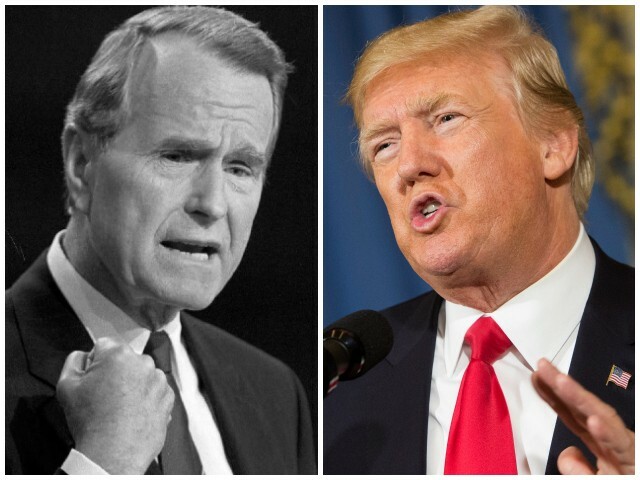 Bush died, the warming of relations between Trump and the Bush family was obvious. As we know, the 45th president issued a generous statement of condolence, then ordered the federal government closed for a day of mourning, then visited Bush 41’s casket at the Capitol Rotunda, and then attended the funeral service at National Cathedral. To be sure, there’s nothing wrong with fit and proper tributes to a late president, and yet in Washington, on any occasion, no matter how somber, it’s always necessary to keep one’s political wits. As president back in the 1990s, Bush 41 lost his; he was gulled by a phony promise of bipartisanship, suckered into a disastrous tax deal—and ended up as a one-term president.